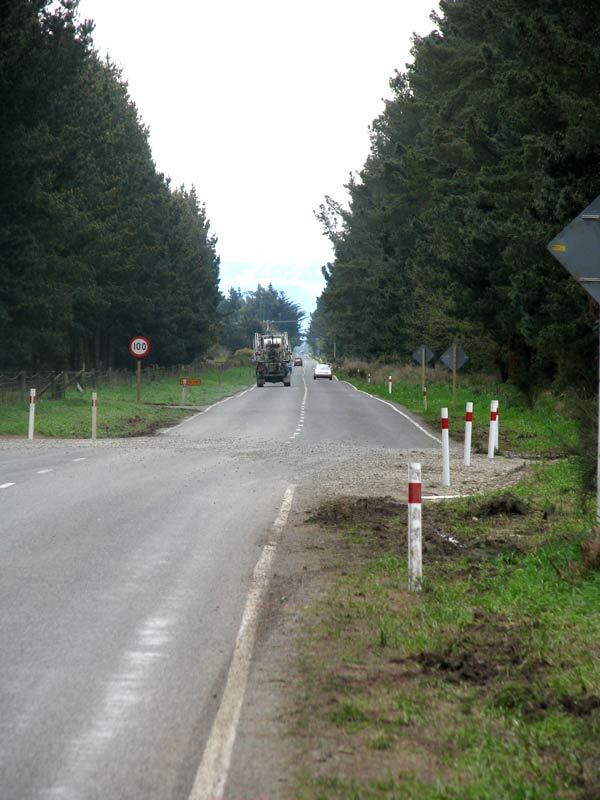 This country road heading northwards across the Canterbury Plains has been offset horizontally by the fault rupture. The surface of the asphalt has been damaged in a narrow band of a few metres. The land in the foreground has moved left (west) and the land in the background has moved right (east). The centre line of the road now almost exactly lines up with the verge line – a displacement of around 4 metres.